Vivid and lively, French Marigold Sparky Mix is one of our most popular Marigold selections! Blooming in brightly yellow and orange, Sparky Mix makes a great mid level layer in your garden bed, growing to around 14 inches high. 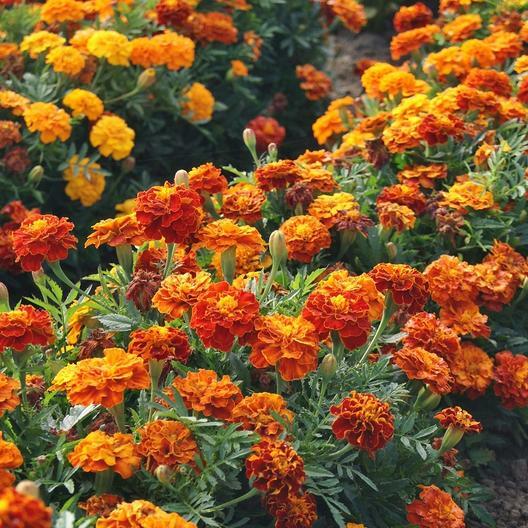 French Marigolds are a popular companion planting for veggies as they are known to help repel harmful pests!